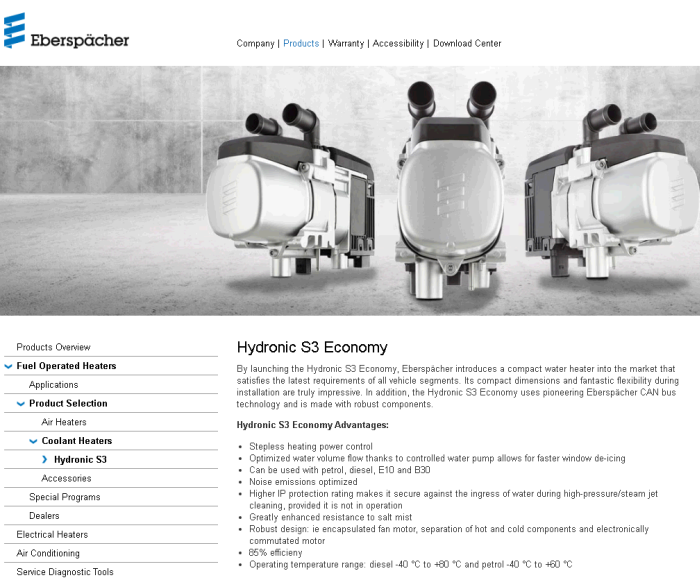 Eberspaecher, the leading system developer and supplier of vehicle heaters, is expanding its product portfolio with the new Hydronic heater, the S3 Economy (5kW) pre-heater. The water heater impresses thanks to its compact dimensions and flexible installation options for simple retrofitting in a large number of vehicle models. As a ground-breaking all-in-one solution with comprehensive peripheral devices, it offers installation partners many practical advantages. With the new EasyScan, diagnostic and service tool, workshop staff can analyze the operating condition of the pre-heater easily and quickly. With the third generation of its Hydronic heaters, Eberspaecher is offering an easy-to-operate preheater with stepless heating power control. The coolant or hydronic heater works efficiently with all popular types of fuel. Due to its robust construction – with an encapsulated fan motor and the separation of cold and hot components – it is designed for longevity. A high IP protection class also secures the unit from the ingress of water during high-pressure or steam jet cleaning. The new water spigots are fully rotatable by 360 degrees and are fully replaceable, they ensure convenient and rapid fitting in a range of installation positions. Optimized brackets enable the pre-heater to be mounted anywhere in the smallest possible space and to be attached rapidly and permanently. Arctic Traveler Canada (ATC) is proud to be an Eberspacher Master Stocking Distributor (MSD) and offers the complete range of products. Eberspaecher has the most comprehensive range of fuel operated air and coolant heater products available in today’s marketplace with affordable heating solutions for on & off-road equipment, small trucks, forestry, mining, military and so much more. 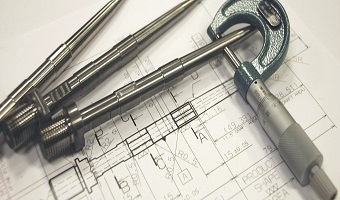 Offering close attention to detail and technical design, Eberspacher leads the industry in Excellence in Supporting Product Applications and Reliability. For more info call 1-800-295-4156 our CSR’s are waiting to help or visit our website. Arctic Traveler Canada (ATC), specialist in mobile climate control.